Highfield Coaching / SO WHAT WILL CARDIO TENNIS DO FOR ME? SO WHAT WILL CARDIO TENNIS DO FOR ME? 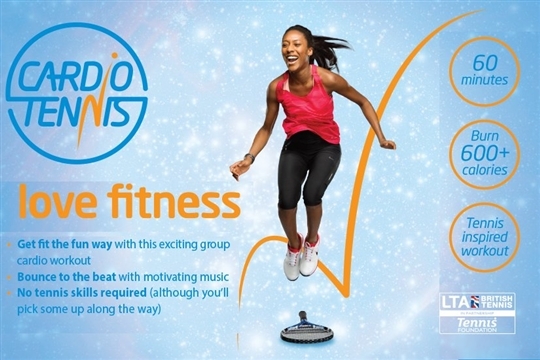 It improves fitness levels, tones and shapes key muscle groups, burns calories for a leaner body, improves tennis skills ... all in a fun, sociable class set on a tennis court. A typical session involves Warm-Up, Aerobic Section, Tennis Section and Cool Down...suitable for all ages and abilities and you don't need to be good at Tennis to have a go! You can also book a course under "Adult Coaching"